2. Anyone know what other teams with a super star run late game? Wondering if other teams do something else. Warriors do the same thing. It's a different animal late games, and you slow down the tempo and make your play makers (LBJ, Rondo for us) call what they see. Even when we were running the triangle with PJ, the ball goes to Kobe late games and he reads the defense. Yea, I've never been a fan of changing your offense to ISO on late games, unless it's to control the clock for a last second shot. But just wanted to verify if other teams were NOT doing what OP was stating. I know what you mean and I cringe a bit too because if I'm gonna be honest, LBJ is no Kobe. What exacerbates the situation is he doesn't have any clutch shooter to throw to late games. At least not yet since the kids are still learning how to play. ISO makes a whole lot of sense late. Reduce turnovers to give you a better chance at getting a shot off. This is why, IMO, Philly is going to struggle to win a chip. Great team ball bit no closer late in games. Do they usually go to the block with Joel late game? For some inside out game on double teams? I haven't watched a lot of their games, but that's where I would go. Closer needs to be a wing/guard. Triple threat type player. Agree though Joel is their best option at the moment. It's simple, Luke has no idea what he's doing. I think you don't have any idea what you're saying. It's so easy to spot what the Lakers are doing late games because majority of the teams in the league runs the same plays. We don’t run plays late in games unless you’re saying those two long 3s by Lebron were by design. What specific plays are you looking for late games. Say example last 24 secs of the game. What are your expectation Luke should call? They run a base offensive set with twist or wrinkles depending on what Lebron or Rondo sees on the defense. b. have a low post player take the winning shot because of above, defense will collapse. That is why most winning baskets come from a perimeter shot or 3. Higher success and less defense. Unless there is a breakdown in play and the ball just happens to end up inside the paint. I don’t have specific plays I want to see. I want to see specific plays drawn up once in a while when we need a bucket. That is the called play. It's a base offensive set with twist and wrinkles that they know by heart. It could be 12 twist and LBJ or Rondo will call any of those late games. The fact that they don't show the coaching staff draw a play doesn't mean they are not running it. We don't see this on TV all the time. Remember last year when Luke always went with KCP as our late game shot taker? I expected this thread to be blank. That was so bad he made Kobe pick up his family and leave Staples on his Jersey retirement night. Ahh. The old twisty wrinkly play. Got it. Not buying it, sorry. Reason why we lose our big leads is that at the end of the game, instead of continuing to play our game, we just go iso. So what kinds of offensive sets do you want to see? Motion, read and react, triangle, Princeton, dribble drive? Something other than deep Lebron threes which seems to be our go to this year. Yeah this is my concern. I get that you want your best player/playmaker to have the ball in their hands in big moments but when they just stand a dribble for 10 seconds that is not good offense, IMO. And it's proving to not work. We got bailed out by Chandler getting offensive rebounds at the end. You: Lebron/Rondo calling an ISO play down the stretch but you want other plays called. Reality: Lebron/Rondo calling a play that LOOKS ISO but there are potentially 12 wrinkles on that play. I think that is why Rondo closed the game last night too in order to have a playmaker and not make the offense stagnant. He did a good job of waving off the defense by looking to the right then giving it to Kuz for a dagger 3 to give us a 7 pt lead down the stretch. The Lakers could try to run some plays to create a Post Up for either Lebron or Brandon, there is some good success there. Posters here have done a good job of offering up the pros and cons of a strat (4th quater isos) that has been shaky at best, but there is another factor to consider: the crunch time line up is just as all-over-the-place as the line ups are every game, all game long. When you have a team where the players are locked into their expected roles, it is a LOT easier to run a variety of offensive plays at the end. Look at the Warriors... they know who is going to be on the floor for the final five minutes (barring health issues), and that comfort level allows them to do more things effortlessly to score points efficiently. I mean, last night we had day-one Laker back-up center Tyson Chandler close out the game. What would be the point of running a complicated play if not everyone on the floor is perfectly in sync with everyone else on the floor? Even if they had McGee out there, again, our players in general aren't intimately familiar with each other in ANY line up because of all the variations the coaching staff run, so when it counts the most (crunch time) they run the simplest of plays. The solution of course is to solidify the line-ups throughout the game, and allow players time to gel with each other on the court, win or lose. 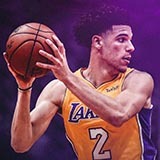 Because the Laker roster has been completely shuffled so dramatically with new/young players in the past season (Ingram is the longest tenured Laker at 21 right now), this is an even more important focus for our team if we want to achieve sustained success down the line, and have a wider array of offensive options at the end of tight games. With all that said, I'd keep things offensively just as it is now (including crunch time isos) if we can only play solid defensively as a team for a full game. At least they showed improvement in stopping the TWolves last night in the second half - more of that, please. The solution of course is to solidify the line-ups throughout the game, and allow players time to gel with each other on the court they way, win or lose. Because the Laker roster has been completely shuffled so dramatically with new/young players in the past season (Ingram is the longest tenured Laker at 21 right now), this is an even more important focus for our team if we want to achieve sustained success down the line, and have a wider array of offensive options at the end of tight games. With all that said, I'd keep things offensively just as it is now (including crunch time isos) if we can only play good defensive as a team for a full game. At least they showed improvement at stopping the TWolves last night in the second half. Couldn't agree more. In the end, it's about cohesion and we are not there yet. Sad part is, Magic has already drawn the line on the sand and Luke is coaching to win now over youth development. Again. Late in games, there are too many deep Lebron threes being taken. So I think Luke needs to draw up something there. If they are calling a play for Lebron to take a deep three, then they should change that drawn up play. The scoring distribution was nice. Lakers will slowly but surely effectively establish the pick n roll as a dangerous weapon. The T Wolves defended well against that practically shutting down Rondo, Ball and McGee along with making a franchise record of 3's and still lost the game. This is such a positive and dominant sign of things to come. Nah, that is the discretion of any superstar, unfortunately. That is part of the play option and LBJ wants to be Steph Curry and he has that leeway. Just like any superstar in the league. I think only Magic can tell LBJ not to take that shot.